This compilation of articles from ReNew and Sanctuary magazines covers topics important to anyone who lives in or is considering making their home all-electric. Find out about the new range of modern electric appliances, and how to save money and the environment by running these appliances entirely on renewable energy. This publication is FREE for ATA members (please log in using your ATA webshop account). SKU: AEHEBK. Category: Books. Tags: electric home, heat pumps, Energy Efficiency, LED, lighting, Solar. 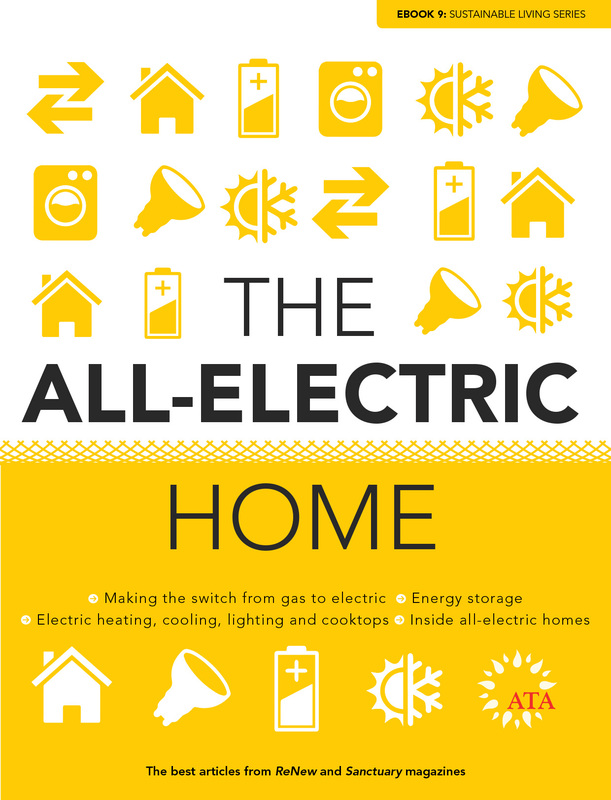 It’s time to get ready for an all-electric home! 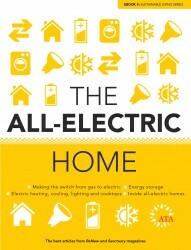 This compilation of articles from ReNew and Sanctuary magazines covers topics important to anyone who lives in or is considering making their home all-electric. We’ve included articles on some of the most energy consuming appliances in the home such as hot water systems, heating and cooling, fridges and lights. We also investigate energy storage options for solar households to ‘bank’ any extra electricity generated for use when the sun’s not shining. And we take a look inside some leading examples of modern all-electric homes . The rise of rooftop solar and the availability of GreenPower means that households can use 100% renewable energy to run their appliances. At the same time modern electric appliances are becoming more efficient and can perform better than gas appliances, while changes in the gas market mean that gas is no longer as clean or affordable as it used to be. This is an interactive pdf (8MB) that can be downloaded on purchase. This publication is FREE for ATA members (please log in using your ATA webshop account). Note: A download link will be made available immediately on purchase. A link will also sent in a follow-up e-mail. Some e-mail clients may require you to copy/paste the download URL.